Olive Tree Genealogy Blog: Who Was Your First Immigrant Ancestor? Who Was Your First Immigrant Ancestor? I'm not American so I don't celebrate Thanksgiving tomorrow. We Canadians had our Thanksgiving back in October because we celebrate for a different reason than Americans do. I don't have any Pilgrim ancestors. None of my ancestors arrived on the Mayflower or other ships arriving that early on the shores of America. What I do have are ancestors who left Holland for the New World of New Netherland that is now New York. I celebrate their bravery and strength for making such a journey! Watching last night's docu-dramas on the Plymouth Rock and Jamestown settlements (excellent shows, well worth watching) made me wish someone would do a similar show about the Dutch who settled New York. 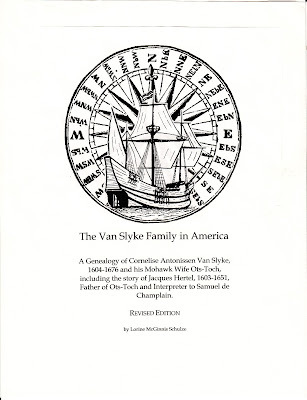 My earliest ancestor to America that I am aware of was Cornelis Antonissen Van Slijk from Brueckelen, Netherlands, who left the Netherlands in May 1634 from the Texel on board De Endracht and sailed to the New World. He was a thirty year old carpenter and mason, and his skills were desirable in a new colony. Lambert Van Valkenburg - records indicate he was in New Amsterdam as early as Jan. 1644. Since it is unlikely the ships sailed in the winter, he was probably in New Amsterdam in the summer or fall of 1643. HarmenJanse Ryckman came to the New World sometime in the 1660s with at least one child - his daughter Margarita (Grietje) Harmense Ryckman. Hendrick Bartholomeus[Vrooman] and five children ages 15, 13, 11, 7 and 5 years old are on the passenger list of D'Eendracht (The Concord) arriving in New Amsterdam NY on 17 April 1664. Jan Martense (VanAlystyne) and his wife Dirkje were from Meppel, Netherlands and they came to the New World with at least 2 children. The first time we see them in New York in 18 July 1655 when a son Marten was baptised at New Amsterdam. Jan Cornelise Damen emigrated from Bunnik, Netherlands ca 1650 and married Sophia/Fytie Martense. To date no record of him as a passenger on a ship has been found. However Pim found an Amsterdam Netherlands notarial document in 1651 where a Jan Cornelisz. 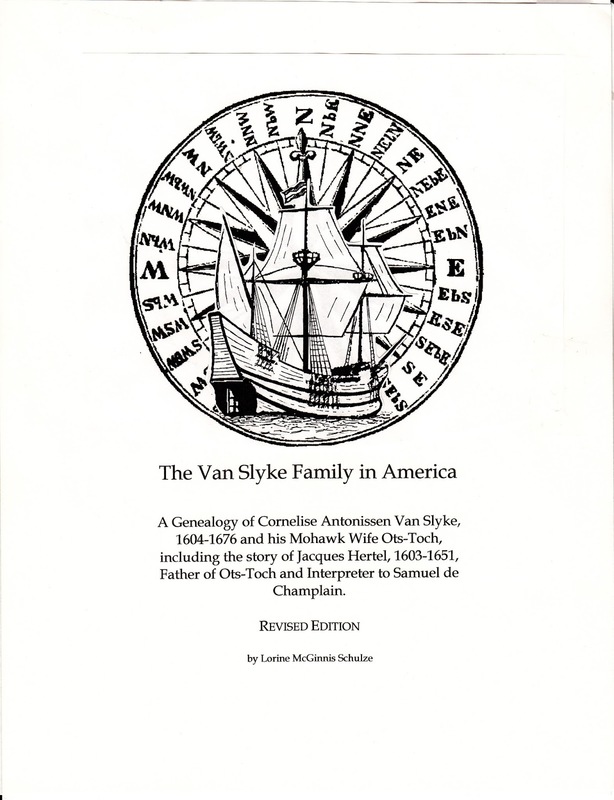 van Vechten signs on to come to the New World in the employ of Jacob Stoffels. Jan Janszen Damen was in Amsterdam at the same time and vouches that Jan Cornelisz. has his father's permission. Both sign the document. Vechten and Bunnik are "twin villages" but the church is in Bunnik. This is almost certainly my Jan Damen. and too many more to list them all, including Huguenots and Walloons from France. I appreciate them all for without their bravery, curiousity and strength I would not be here today. We share the Vroomans! I have 10 Jamestowne Planters & two Mayflower passengers in addition to a pile of Dutch. I don't have my tree at hand, but yes, lots of them. I'm descended of two European take-over nations. My 1st Immigrant; Ludwig Mietzner 1863 Quebec through Canada to Wisconsin from Kunkolewo Hauland,Kolmar,Posen,Prussia. So you have deeper roots here then me. Belated Happy Thanksgiving. My first immigrant that I have researched was Hans Valentine Nikla (Nichlas) from Saarland Germany who arrived in 1738 to the port of Philadelphia on the 'Davy' on Oct 25th. Known as 'The Year of the Destroying Angel', 1738 was fraught with some of the worst shipping disasters. Indeed, the Davy was brought to port by the carpenter as the officers, mates and 160 passengers had already died in route. Only 74 men and 47 women survived the crossing (no children did). I cannot help but think of the current refugee crisis as being similar. I have Mayflower, Great Britain and German ancestors. I can't even imagine leaving home and sailing on a boat to some unknown place where I didn't know anyone and didn't know how I would live. It would be like me getting on a space ship to live on the moon. I'm way to chicken to even want to do it. I share some of those Colonial Dutch family lines as well. I read a fabulous book, fiction based on history, called NEW YORK, by Edward Rutherford. It is a brilliant portrayal of the settlement of Manhattan Island. It be wonderful to see a movie or TV series spun off that book! As Grandma Janie pointed out, so many died on the voyages, how many of our ancestors didn't make it? I've seen "born at sea" on some genealogies, but haven't come across "died at sea" yet. Jan Janszen Damen was my husband's 11th great STEP grandfather. He married Adrienne Ariantje Cuvellier after her husband, Guleyn Willem De La Vigne died in 1632 in New Netherlands. The Vignes arrived in New Netherlands about 1620. My earliest documented was a Monfort who came in 1624. I also have Van Voorhees who came in 1660; Demarest, etc. Lots of English who came around 1635 into not only Plymouth Colony but also into Essex County; Newburyport. I, too, have New Amsterdam ancestry, including Joris and Catalyntje Trico Rapalje who arrived in 1624. Today, they have more than a million descendants in Canada and the United States. For a wonderful history of the settlement, read The Island at the Center of the World. arrived in the 1880s by himself, and later went back to Sweden to collect his wife and four of his six children (two daughters emigrated by them selves via Copenhagen, Denmark. My maternal ancestors came over from Austria and Hungary but not until the early 20th century. Joris Jansen Rapalje [1604-1662] and Catalyntje Trico [1605-1689]. I was reading the Island in the Center of the World by Russell Short and went back and looked at my Ancestry Tree, there they are and their eldest Sarah Rapalje, who was the first white baby born in New Netherlands! Who is the Man from the Suitcase? Where (and Why) Are Canadian Genealogists Hiding?